Factitious habits: Chipping of the teeth caused by chewing on paper clips, pen caps and other rigid objects. Using teeth for purposes other than chewing food is known as a factitious habit (parafunction habit). Examples include biting fingernails, trimming fishing line, chewing ice or popcorn kernels, and resting the front teeth on sewing needles, bobby pins or nails. Factitious habits cause chipping or cracking of the teeth. The consequences can range from minor to severe. Factitious habits have also been associated with certain psychological disorders, in which trauma to the gums (gingiva) and other oral soft tissues resulted. A factitious habit of chewing popcorn kernels finally caught up to this patient. Note that the fractured tooth had no decay and had never been filled. How does the dentist diagnose Factitious Habits? Tooth enamel is the hardest substance in the human body. It is extremely durable, and wears very little under normal function. Multiple chips or craze lines in teeth demonstrate repeated (habitual) heavy impact forces that are consistent with factitious habits. These types of injuries are usually noted by dentists during a close visual inspection of the patient’s teeth. Fractures are usually reported by patients according to the cause. Soft tissue injuries caused by factitious habits are also most commonly reported by the patient or patient’s parent/guardian as to the origin of the injury. How are Factitious Habits treated? Diagnostic photographs and/or X-ray images (radiographs) can help to document factitious habits. 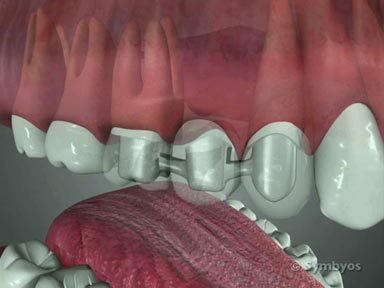 Some patients are unaware of the damage they are causing to their teeth. Small chips in the biting edge of teeth can sometimes be sanded smooth (preferably by a dentist) using a sandpaper disk, to keep the weakened biting edge from chipping more. If the shape of the tooth would be changed noticeably by reducing the tooth’s contours, flowable composite resin filling material can be bonded onto the enamel surface, and properly shaped to fill in the chips. 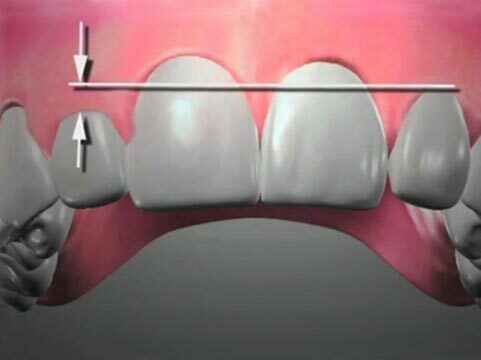 Often, a combination of these procedures is done. The patient should be aware that continuing their destructive habit can lead to failure of the restoration and/or formation of new chips/cracks. Larger chips and fractures may require crowns, onlays, or veneers to repair. 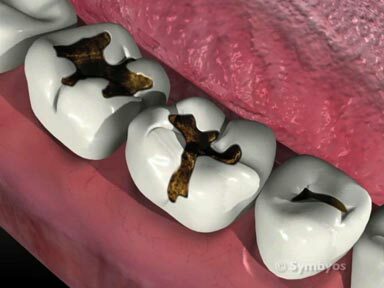 If the tooth crack or chip exposes or injures the living pulp inside the tooth, endodontic (root canal) treatment or extraction (removal) of the tooth may be necessary. Soft tissue injuries may require periodontal surgery to repair.